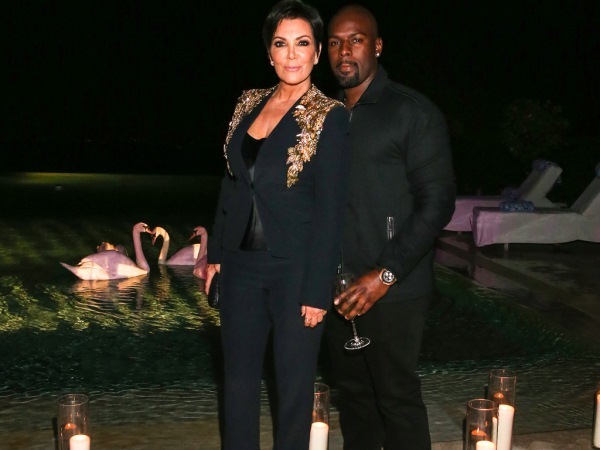 Kris Jenner is reportedly plotting a revenge marriage. The 59-year-old Keeping Up with the Kardashians matriarch was married to athlete Bruce Jenner for 24 years until they officially divorced in 2015. Bruce is now referred to as Caitlyn Jenner after the Olympic gold medallist came out as a transgender woman earlier this year, a move that has garnered the star lots of attention from the media. Kris has been dating road manager Corey Gamble on and off since November 2014 and it’s claimed she is planning for them to become engaged soon so she can manipulate publicity in her favour. It’s claimed Kris wants to marry Corey because the ‘momager’ was upset by how she was portrayed in the media following Caitlyn’s identity revelation. Another alleged factor creating the upset is comparisons being made between Caitlyn and Kris’ physical beauty, in addition to other matters of vanity. “All of a sudden, Kris’ hair and makeup people were always busy when she needed them — and she found out they’ve been working on Caitlyn in Malibu,” a source told America’s Star magazine recently. “Kris can’t believe Caitlyn stole her glam squad! She is the one who put together this team, and she is totally ticked off that Caitlyn shamelessly poached them! I'm a 43 year old man looking to meet women between the ages of 35 and 60. I'm a 43 year old woman looking to meet men between the ages of 36 and 53.